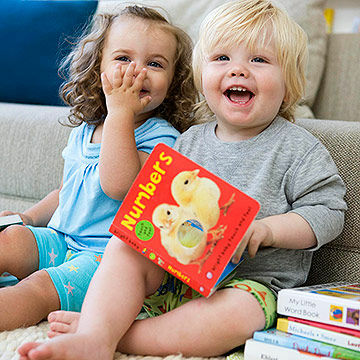 Proactive reading with younger children can help build an advanced vocabulary. Books are amazing! Whether they’re taking us on adventures to far-off lands, teaching us new things about the world around us, or helping to explain difficult feelings or situations to little ones. I love books – I always have! 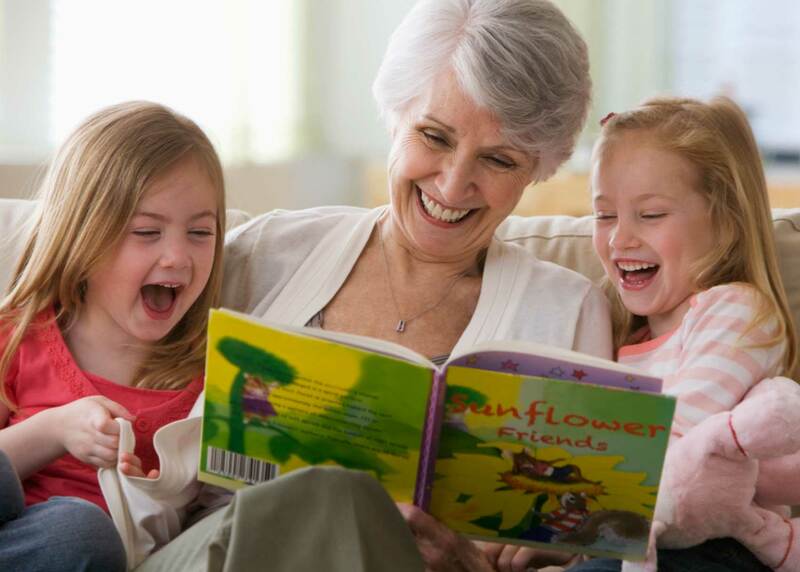 Like a lot of children, perhaps, I have memories of reading with my Nan and other members of my family! Snuggled on their laps as I took in each word and let my eyes wander over the beautiful illustrations! Now I have a daughter I want to make the same impression on her. Having seen first-hand the potential in books to teach so much to little ones, I created Story Explorers on the Wirral. It’s much more than storytelling: we look at the possibilities in each story to learn more about our environment, feelings and to improve each child’s skills and abilities! In each session, from the very beginning we are using our awareness of books – using our binoculars, we hunt all around the room for clues to that week’s story. We are learning every step of the session! 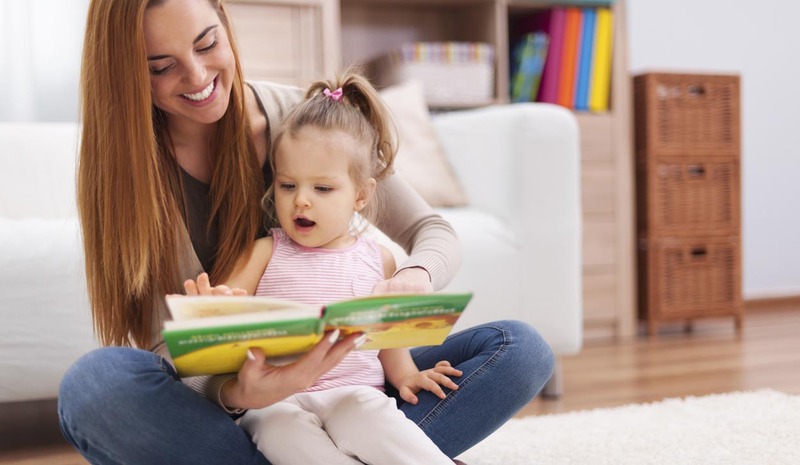 Recently, I have been a part of a volunteer study by the University of Liverpool aimed at exploring the links between reading with children under 5 and their subsequent improvement in vocabulary – and, also, the more effective their preparation for school. Make sure when you read a story you are both sitting comfortably in a warm place! This way, when they grow up they will also associate books with being safe, loved and content. Let them be involved with choosing! This is important as you don’t want them to be disengaged before you have even begun. So, you are having to read their choice of Peppa Pig for the 200th time? Maybe offer to read Peppa alongside a book of your choosing! Before you even open the book ask a question about the cover – get them interested straightaway! ‘What do you think this story is about?’ ‘Can you see the letter ‘P’ anywhere?’ ‘What colour is Georges dinosaur’? Ask them to open the book and turn the pages. They need to learn which is the front of the book and how you use it as well as reading left to right! If you can, make the characters voices different! Now you might not all be Oscar-winning actors, but a little one will not judge you – have a go and have fun with it! If you just can’t then try inflections in your voice – maybe the mouse talks very quietly in a high-pitched voice but the lion has a deep voice. After you have read the book once, perhaps read it again but this time ask questions! Use the book as a starting point to create conversation with the children – to teach them new words or feelings or to get them to use their imagination. ‘What is that?’ ‘How many cups can you see?’, ‘Where are they going to?’, ‘When do you use an umbrella?’ ‘Why is the bear crying – how does he feel?’ – these are all great leading questions. Once you’ve read the story a few times you will find that they pick up the words and can read part of the sentence back to you. Make sure you constantly test this by reading part of the sentence and get them to fill in the rest – I tend to leave a large gap and they then fill it rather than asking them – ‘…and Timothy Shouts – ‘There’s a shark in the park!’. Before you know it, they can reel off the whole story from memory! 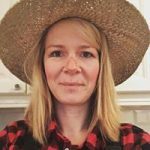 Claire Jackson is the creator of Story Explorers, which started in May 2017 as a small idea to get a better work life balance. We’ve now delivered 350 story sessions and have a repertoire of 24 different stories. Claire’s background is in theatre and education and with a Masters in Classical Acting. Claire’s sessions have proven to improve confidence and build the under 5’s knowledge and abilities.